Home to Sydney's second largest CBD, Parramatta is a popular destination for business travel. 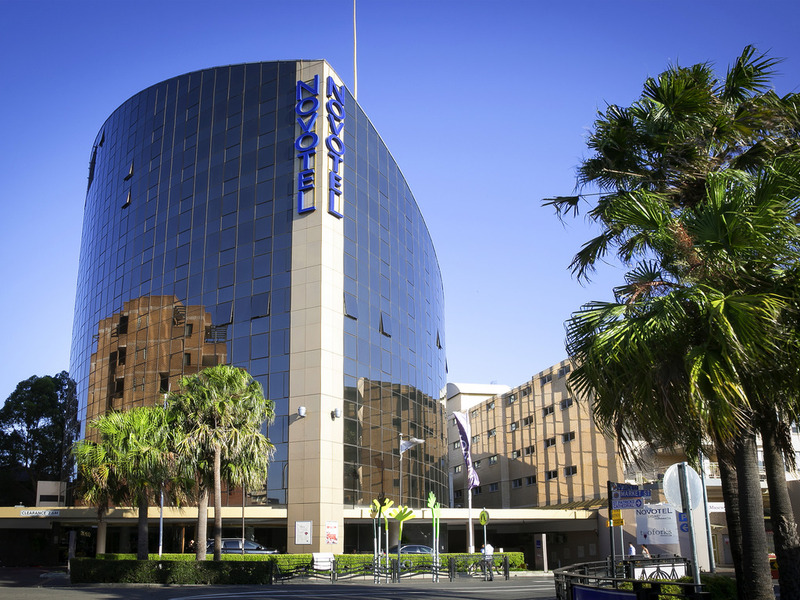 Offering access to Parramatta CBD and an extensive range of conference facilities, Novotel Sydney Parramatta is perfect for business travellers. Located within Parramatta's cosmopolitan dining precinct, this impressive Sydney hotel also favours leisure travellers, offering access to Riverside Theatres, Rosehill Racecourse, Wet'n'Wild Sydney, Sydney Olympic Park, Westfield Shoppingtown Parramatta and Sydney CBD. Excellent facility. Friendly staff. Close to first class sporting grounds and public transport. Easy access to city centre or take advantage of Parramatta’s wide variety of hospitality and entertainment or a quiet walk along the Parramatta river and adjoining parklands. The experience was ok but the rooms are old and I felt unsafe around that area, the elevator are slow and the hallways are dim and dark I felt unsafe in the gym the doors were open to the pool area. Very convenient to the place we want to go & staff are friendly & helpful. Staff were very busy but most helpful. Nice to be able to walk in, unpack and have a drink at the bar! Always a pleasure, I choose to stay with you for the beautiful walking area's morning and evening. The staff are always exceptional, I would have liked the luxury of a bath robe, I usually find one in my other hotel rooms and travelling for business I try to keep my personal luggage to a minimum. The food menu is great and I enjoy the option of room service as I keep working into the evening. It was suggested to me to eat in the restuarant and I would recevie 10% off my bill. This never happened and the meal was terrible. I ordered a medium steak and it was overdone with a disgusting side dish I then went to my room, airconditioning didnt work, had to change rooms at 9pm at night. The hotel was noisy and old. Overall the stay was pleasant, and I would recommend this property. Location was perfect for access to the train station and restaurants. The room very old and run down. AC falling from roof and very stuffy in the room. Need more staff on the breakfast floor as plenty of customers and very little staff. Generally I rate my stay higher when I stay here but the air conditioner in the room was very noisy when it was turning off and coming back on during the night.